1st edition 2013, 33 pages. Scott Creasey, while perhaps not as well known as some of the other UK mentalists, is a real hero of mine. To put it simply, he rocks. He has so many good DIY projects, books, tricks, and routines that I have no hesitation in using overused words like "brilliant" and "genius" because he really is. Here's a prime example: a multi-part routine of nice duration using, of all things, Uno cards. I love it. Everyone has seen Uno cards. They have numbers and pretty colors. For folks who want to engage in the silly, pointless discussion about whether mentalists should use cards, how about using Uno cards? They are common the world over and don't shout, "Not mentalism, card trick!" This is great outside-the-box thinking by Scott. Scott gives you a three-part routine and some bonuses. I am not a fan of doing multi-part routines copied chapter-and-verse from another mentalist--I want to be my own performer--but the parts here are easily divisible and independent, and you can mix and match. There isn't anything new in the methodology, but these are excellent effects. Some books are so sparsely written that it's hard to grasp what kind of presentation the effect needs, while others are so overwritten--with every supposedly hilarious one-liner and snide remark--that you have to separate the good from the bad. In all of Scott's routining, he strikes a nice balance: enough on presentation and nothing overdone. He's a fine writer. One more thing for educational purposes--and I'm not giving away trade secrets because without the context of Uno-It, this will be cryptic, but I want to encourage you to check it out. As I said, there's nothing new in the methodology here. Perhaps, more correctly, I should say that in one aspect, the methodology relies on something so old and obscure that even some card guys may not be fully aware of it, the corner short. 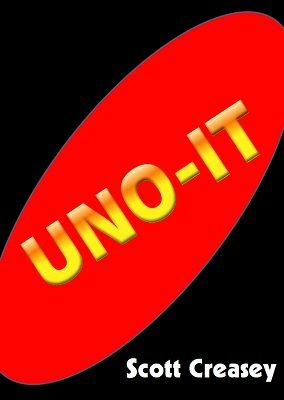 Richard Osterlind is a big proponent, and the Uno-It routine uses it effectively too. Until you play around with it and see that it can also save you in an emergency, you may not realize that it's something good to know about if you handle card decks. Get out your copy of Hugard and Braue in addition to purchasing Uno-It and check it out. You won't be disappointed. You might even be enlightened.